The Best Aging blogs from thousands of top Aging blogs in our index using search and social metrics. Data will be refreshed once a week. Also check out Aging Podcasts. 2.18 Now That Is Aging With Zest! 2.49 Conscious Aging with John Robinson, Ph.D. Aging newsletter is a comprehensive summary of the day's most important blog posts and news articles from the best Aging websites on the web, and delivered to your email inbox each morning. To subscribe, simply provide us with your email address. Arlington, VA About Blog The latest news & tips on healthy aging, senior benefits, aging policy, money management & more. NCOA is a respected national leader and trusted partner to help people aged 60 plus meet the challenges of aging. Explore everything NCOA has to offer for professionals, older adults, caregivers, and advocates. Facebook fans 38,646. Twitter followers 23,798. San Francisco About Blog ASA is the essential resource to cultivate leadership, advance knowledge, and strengthen the skills of those who work with, and on behalf of, older adults. Facebook fans 11,215. Twitter followers 35,168. Seneca, SC About Blog Senior Care Corner is the source for insights and tips about caring for senior adults, whether you are doing so at home (either yours or theirs), remotely if you live at a distance, or if your loved one resides in a nursing home or other residential facility. Facebook fans 11,402. Twitter followers 14,829. San Francisco, California About Blog IOA services enhance the quality of life for adults as they age by enabling them to maintain their health, well being, independence and participation in the community. We offer innovative programs in health, social service, creative arts & education. Facebook fans 7,024. Twitter followers 1,009. Austin TX About Blog The Fight Aging! mission remains the same as it was at the outset: to encourage the development of medical technologies, lifestyles, and other means that will help people live comfortably, healthily, and capably for as long as they desire, well beyond the current limits of mortality. New York, NY About Blog HealthinAging.org is created by the American Geriatrics Society's Health in Aging Foundation, to provide consumers and caregivers with up-to-date information on health and aging. Facebook fans 1,552. Twitter followers 2,015. United States About Blog Healthy Aging® is a national ongoing health effort designed to broaden awareness of the positive aspects of aging and to provide information and inspiration for adults, ages 45 - 50 , to improve their physical, mental, social, and financial fitness. Facebook fans 973. Twitter followers 8,317. Florida, USA About Blog Aging in Place is the ability to live in one's own home - wherever that might be - for as long, as confidently and comfortably possible. Livability can be extended through the incorporation of universal design principles, telehealth, mhealth and other assistive technologies. Facebook fans n/a. Twitter followers 8,481. About Blog The Happy Body program will teach you the simple science of nutrition, exercise, and relaxation. Washington, Los Angeles, Oakland About Blog Justice in Aging is a national organization that uses the power of law to fight senior poverty by securing access to affordable health care, economic security, and the courts for older adults with limited resources. Facebook fans 1,792. Twitter followers 2,809. Gurgaon,India About Blog We help elders live an active lifestyle in the comfort of their home and community. Our services include general wellbeing, dementia care and emergency care. Facebook fans 1,909. Twitter followers 211. About Blog Read everything about how you deal with aging on Reddit. Facebook fans 1,166,937. Twitter followers 525,838. Philadelphia, PA About Blog This is a blog on aging by Josh Mitteldorf. Read how to stay young. San Francisco About Blog A geriatric MD's practical tips on senior health & helping aging parents. For family caregivers, older adults, & all interested in health & well-being while aging. Facebook fans 420. Twitter followers 1,171. Vancouver, WA About Blog Aging in Place Resources and Ongoing Support for Daily Living, Home Remodel and Design, Affordable Housing, In-Home Care, and Transportation. Our mission is to provide Caregivers, Seniors, and Baby Boomers resources for aging in place. Facebook fans 112. Twitter followers 6,671. 18. Now That Is Aging With Zest! About Blog Mature women know that Aging With Zest is a choice. Getting older is inevitable, but we can choose how well we will age. Zest is defined as "great enthusiasm and energy".Attitude about aging has been shown to affect longevity. Join me, with other mature women who are choosing to have a positive attitude toward aging. Facebook fans 171. Twitter followers 202. About Blog As Our Parents Age is a blog that offers real life experiences of taking care of aging parents. As Our Parents Age is my effort to record the experiences of loving and living with aging parents, but it is also a vehicle to help my husband and me understand and learn more about aging parent caregiving and medical care. South Bend, IN About Blog Providing insight and information to adult children of aging parents so they may "thrive and find joy" in every stage of life. Facebook fans 934. Twitter followers 5,896. Pacific Northwest, USA About Blog A holistic care management and elder care company that helps families plan for, pay for, and coordinate the long-term care of elderly loved ones. Our blog is the best way to keep up-to-date on current issues, new ideas and important considerations as you navigate your way through the elder planning process. Facebook fans 598. Twitter followers 121. Palm Beach/Broward counties FL About Blog This is a blog dedicated to questions surrounding Home Health Care, Senior Care, Elder Care, Caring for Aging Parents & Home Health Aide Services. Facebook fans 140. Twitter followers 791. Massachusetts About Blog The Massachusetts Healthy Aging Collaborative is a network of leaders in community, health and wellness, government, advocacy, research, business, education, and philanthropy who have come together to advance healthy aging. Beech Grove IN About Blog Sage-ing International is a nonprofit organization committed to transforming the current paradigm of aging to sage-ing through learning, service and community. Sage-ing International is a community of elders and elders-to-be around the globe, whose mission is to create a world which respects and honors elders. Facebook fans 653. Twitter followers n/a. Tampa, FL About Blog In the Aging Wisely blog, they strive to bring you useful caregiver tips, senior care news, advice for caregivers and aging wisely resources. Facebook fans 433. Twitter followers 9,244. New Orleans, LA About Blog The joys, the challenges and the nuts and bolts of traveling with aging parents. Facebook fans 11,360. Twitter followers 4,309. Brooklyn, NY About Blog Ashton Applewhite is a writer who has written a book called This Chair Rocks, and blogs about the advantages and disadvantages of aging in her blog Yo, Is this Ageist? In her writing, line of work, and speeches, Ashton shows that our preconceptions of aging might just be wrong, and that aging doesn’t need to be a disadvantageous, difficult process. Facebook fans 5,994. Twitter followers 2,931. San Rafael, CA About Blog AgingParents.com provides coaching and consulting programs for those who are having difficulty with aging loved ones or clients. We address issues about loss of financial capacity, family conflicts and other matters of aging. We serve financial service professionals, families, caregivers and those in the elder services industry. Facebook fans 4,213. Twitter followers 2,493. Calabasas, California About Blog David Solie is an author, educator, clinician, communication consultant, health coach, and thought leader on the psychology on the second half of life. His observations and commentary on aging, caregiving, and the complex journey through the second half of life. Facebook fans 771. Twitter followers 546. Malaysia About Blog SeniorsAloud aims to provide seniors with an avenue to network online and share their life experiences. We believe in active ageing, and in living our golden years with passion and purpose. Facebook fans 1,432. Twitter followers 39. Santa Rosa, CA About Blog Council on Aging Services for Seniors is a private non-profit organization which has been providing services for Sonoma County citizens over the age of 60 since 1966. They help seniors and their families through the challenges of aging with a variety of programs and services. Facebook fans 1,339. Twitter followers 72. Ottawa, Canada About Blog Donna is the Special Advisor for Caregiving at Tyze Personal Networks and is a Senior Advisor to the PLAN Institute for Caring Citizenship. Donna extensively writes for magazines on the topics of family caregiving. Facebook fans 3,223. Twitter followers 1,816. United States About Blog Endless Legacy LC founded to help adults with families and a parent who is a senior seemingly without a plan for their aging continuum. They provide clarity of what parents want and need and to foster the family working together for future common plan. Facebook fans 321. Twitter followers 439. About Blog I have created this website to document my year long quest to prove beyond the shadow of a doubt that it is possible to significantly reverse one’s biological age and slow the aging process. Halifax, Nova Scotia About Blog The mission of the Global Aging and Community Initiative is to create new knowledge focused on the health and well-being of older persons worldwide through collaborative research across a broad global scientific community. So CA About Blog The blog posts about caring for aging parents from Kathy Quan RN BSN author of The Everything Guide to Caring for Aging Parents. Facebook fans 435. Twitter followers 3,101. Global About Blog Modern Aging is an business accelerator designed to inspire entrepreneurs to create businesses that serve the needs of aging populations around the world. Facebook fans 823. Twitter followers 471. Washington, DC About Blog Everyone deserves to have a meaningful and engaging relationship with the older adults living with dementia in their lives. Facebook fans 102. Twitter followers 2,272. About Blog Elderly Parent Resources provides information and help with caring for aging parents. This blog offers tips and news about the elderly parent industry. San Diego, California About Blog This is a blog on Changing how we see aging. Bethesda, MD About Blog The National Institute on Aging is the U.S. Government's lead agency on aging research and is part of the National Institutes of Health. NIA supports a broad scientific effort to understand the nature of aging and extend the active, healthy years of life. Facebook fans 6,003. Twitter followers 8,175. Greece About Blog Support the application of regenerative medicine to age-related disease, with the intent of repairing underlying damage to the body's tissues, cells, and molecules. The goal is to help build the industry that will cure the diseases of aging. Watch videos on Youtube. Facebook fans 2,419. Twitter followers 128. Columbus, Ohio About Blog The Ohio Department of Aging works to ensure that our elders are respected as vital members of society who continue to grow, thrive and contribute. Watch videos on Youtube. Facebook fans 9,842. Twitter followers 3,804. 28 Southeast Nebraska Counties About Blog Tabitha, a Christian provider of rural and urban health and related services for older adults, delivers a comprehensive system of compassionate care promoting the dignity, independence and health of Elders. Facebook fans 3,263. Twitter followers 536. St. Louis, MO About Blog Lutheran Senior Services is a faith-based, mission-driven not-for-profit network that specializes in enhancing life for seniors, ages 62-plus. Facebook fans 2,708. Twitter followers 350. New York, NY About Blog The John A. Hartford Foundation, based in New York City, is a private, nonpartisan philanthropy dedicated to improving the care of older adults. Facebook fans 1,348. Twitter followers 6,945. San Rafael, CA About Blog AgingParents.com grew out of the combined efforts of three individuals, Carolyn L. Rosenblatt, R. N., attorney, Dr. Mikol Davis, psychologist, and Bruce Tokars. It arose from a shared desire to help boomers meet the needs of their aging loved ones. Glasgow About Blog I am Joyce Williams is also known as Grandma Williams. I've traveled the world, written books, been a Physio & TV Presenter. Now I'm 80 and I'm blogging about the fun and nonsense of being ancient in a modern world and experiencing everyday ageism in all its glory! Facebook fans n/a. Twitter followers 2,580. 49. Conscious Aging with John Robinson, Ph.D.
UCC Fox Island, WA About Blog This website is maintained by John C. Robinson, Ph.D. author of The Three Secrets of Aging, Bedtime Stories for Elders, Finding Heaven Here, Ordinary Enlightenment, But Where Is God, Death of a Hero Birth of the Soul. About Blog This blog is about the forward thinking on Aging Issues. Planet Longevity is a thought leadership panel. Their aim is to advance awareness of the changing social and economic conditions for all generations challenged by the multiple issues of living a longer life. About Blog Learn about aging and living a full life from Judy, who is chronicling her journey through her decade as a septagenarian. Pulborough, UK About Blog This is the blog site for the British Society of Gerontology, where members are able to share ideas, promote discussion and publicise research. A space where members of the British Society of Gerontology discuss contemporary issues raised by ageing societies. Facebook fans n/a. Twitter followers 3,793. Philadelphia, PA About Blog Aging-related research, news and information from the University of Pennsylvania’s Institute on Aging (IOA). IOA was established in early 1979 to improve the health of older adults through clinical and basic science research in aging as well as educational programs that focus on normal aging and age related disease at the Perelman School of Medicine and across the entire Penn campus. Facebook fans 392. Twitter followers 1,319. Worcester, MA About Blog Deborah Fins Associates partners with your loved one and family as you navigate the aging process. It offers comprehensive assessments and planning, guidance in selecting appropriate care, help identifying resources for financial support and professional consulting. Facebook fans 136. Twitter followers 156. Nova Scotia, Canada About Blog A journey of exploration and discovery of who I am becoming during the aging process. Mumbai About Blog A Gerontologist, with a Ph.D. in Psychology and a passion to work for Senior Citizens. Have recently launched my dream project. Through this page I would like to share views, experiences and researches in the area of Psycho-Social Gerontology with special emphasis on healthy and productive ageing. Facebook fans 594. Twitter followers 195. About Blog My name is Mary Wark and I have chosen Frederick, Maryland as my place for aging. I am in that later sixties age bracket and have just gone through a period of making personal decisions about where and how to spend my “golden years”. Ways to stay is an Informational blog and social network website by an actual boomer planning to age in place. Larimer County, Colorado, United States About Blog Aging Gracefully focuses on varied experiences of growing older in Larimer County Colorado. The blog entries are brought to you by the Partnership for Age-Friendly Communities and feature personal stories written by local residents. Irvine, CA About Blog The Council on Aging-Orange County promotes the independence, health and dignity of older adults through compassion, education and advocacy. Facebook fans 1,423. Twitter followers n/a. Alabama and Mississippi About Blog Hi everyone, I am gerontologist and aging expert Dr. Jan Vinita White. I created this blog as an informational forum for topics related to aging. About Blog Although now at 77 I do look ‘old’, the folds on my face, my gait, and my white hair, I did not at the age of 60 when I retired. It is the white hair that have signalled me as an old woman and because of this I have noticed ageist behaviour towards me even before I retired at 60. Of course my interest in the cinema and my feminism confirmed my personal feelings. San Diego, CA About Blog The How to Help Aging Parents ebook provides clear, easy to navigate information on how to know what type of assistance is needed for your aging parents and what services are available in the growing world of elder care ranging from home delivered meals to moving into an assisted living facility. Facebook fans 24. Twitter followers 155. London, England About Blog A blog about the Future of an Ageing Population project, which looks at the challenges and opportunities of an ageing society. About - Age UK is the country's largest charity dedicated to helping everyone make the most of later life. We believe that living longer should be celebrated and everything we do is designed to change the way we age for the better and enable everyone to be part of the solution. Together, we can create a world where everyone can love later life. About - HelpAge International is a global network of organisations promoting the right of all older people to lead dignified, healthy and secure lives. Our vision is of a world in which all older people can lead dignified, active, healthy and secure lives. About - The Centre for Ageing Better helps people have a better later life by understanding what works and by making change happen. We bring about change for people in later life today and for future generations. Practical solutions, research about what works best and people’s own insight are all sources that we draw on to help make this change. About - The International Longevity Centre – UK (ILC-UK) is a futures organisation focussed on some of the biggest challenges facing Government and society in the context of demographic change. We ask difficult questions and present new solutions to the challenges and opportunities of ageing. We undertake research and policy analysis and create a forum for debate and action. 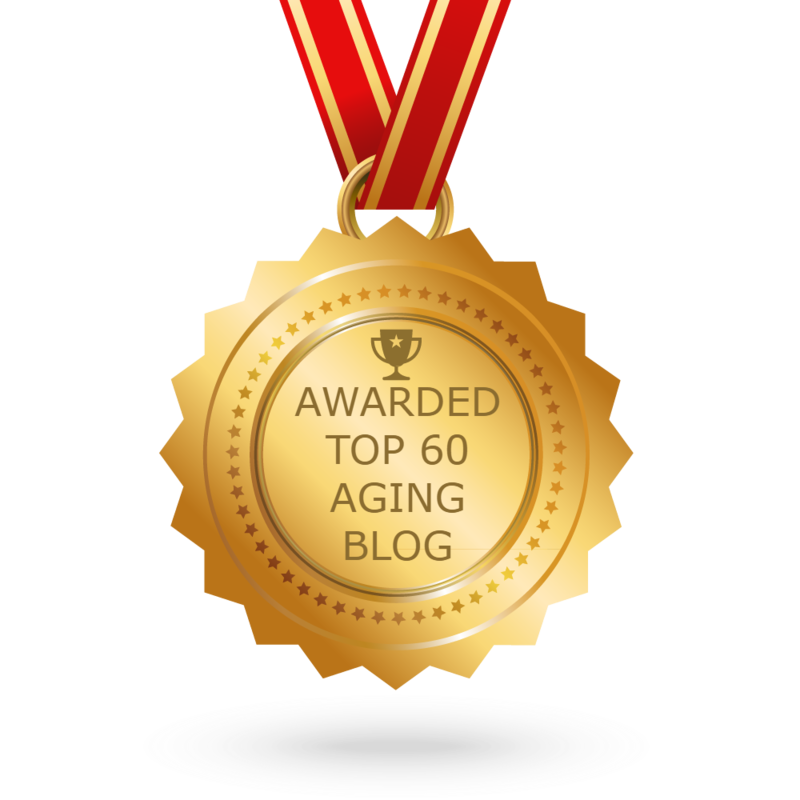 CONGRATULATIONS to every blogger that has made this Top Aging blogs list! This is the most comprehensive list of best Aging blogs on the internet and I’m honoured to have you as part of this! I personally give you a high-five and want to thank you for your contribution to this world.